We love soups and stews in the fall and winter. It’s so easy to put everything in a pot and let it cook. This recipe is a family favorite. In a large stockpot, brown the hamburger, drain and set aside. Add 2 tablespoons of butter to the same pan. Add the carrots, celery, onion, and spices to the pot. Saute until the veggies are tender. Once the veggies are cooked, add the stock, potatoes, and hamburger. Bring to a boil, reduce the heat, and cook for 12-15 minutes or until the potatoes are cooked. In a small saute pan, melt the remaining butter and add the flour. Cook for 2-3 minutes over medium heat until it is bubbly. When the potatoes are cooked, add the butter and flour mixture to the pot. Cook for 1-2 minutes until everything is well incorporated. 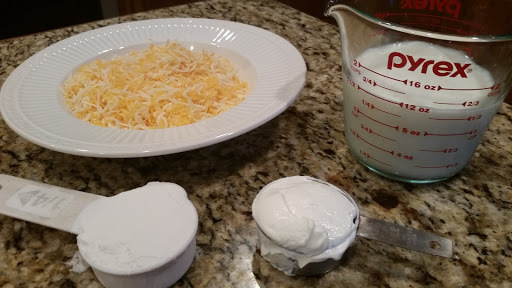 Add the milk and cheese. Continue cooking until the cheese is melted. Remove from heat, add salt and pepper, if desired. Stir in the sour cream and serve.